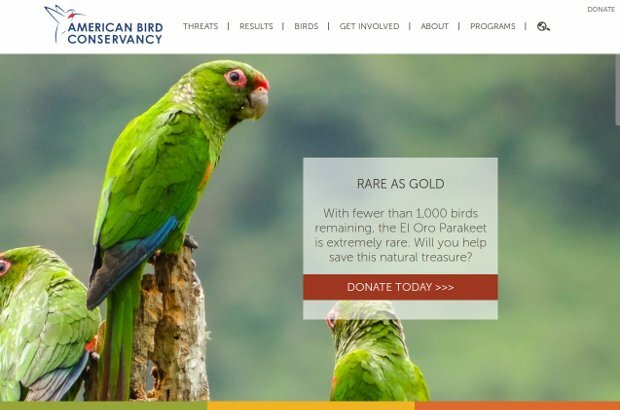 American Bird Conservancy (ABC) is a NGO whose mission is to conserve native birds and their habitats throughout the Americas. They envision an Americas-wide landscape where diverse interests collaborate to ensure that native bird species and their habitats are protected, where their protection is valued by society, and they are routinely considered in all land-use and policy decision-making. ABC is the only U.S.-based group with a major focus on bird habitat conservation throughout the entire Americas. It acts across the full spectrum of threats to birds to safeguard the rarest bird species, restore habitats, and reduce threats, unifying and strengthening the bird conservation movement. The problems facing birds today are myriad and complex, requiring a far-reaching, bold vision for conservation. ABC has developed a unique and successful strategy to preserve bird diversity and maintain or increase wild bird populations. The organization advances bird conservation through direct action and by finding and engaging the people and groups needed to succeed, regardless of their political, economic, or social point of view. ABC seeks innovative, fair solutions to difficult issues and aspires to lead bird conservation by analyzing issues using the best available science; facilitating networks and partnerships; sharing information; developing and implementing collaborative strategies; and establishing measurable outputs.